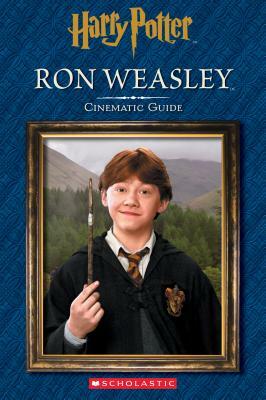 The Essential Film Companion for RON WEASLEY that’s perfect for the youngest fans! Relive the magical moments when Ron Weasley proved just as courageous and loyal as his famous best friend, Harry Potter—whether he was facing the Slytherin Quidditch team or a forest of scary giant spiders! This collection of photographs and quotes from all eight HARRY POTTER films takes a closer look at Ron’s life, including his time at Hogwarts, family and friends, and dangerous battles against the Dark Lord, Voldemort.